We look forward to 2017. The preparations are in full swing! For three days the FZML will celebrate its 25th anniversary and intensify its program with contemporary music, electronic music, DJing, poetry, films and readings to a broad survey under the mottoALTZEIT NEU. The performances cover the time span from the predecessor of the FZML, around the »Gruppe Neue Musik Hanns Eisler«, throughout the hard years of development and right into the present day. In connection with other art forms and beyond superficial 'aha-moments', the festival offers some of the best, thought-provoking and entertaining artists of the scene. 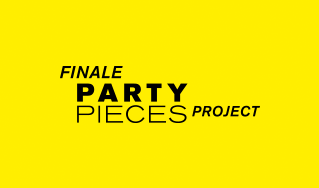 On the initiative of the Forum of Contemporary Music Leipzig [FZML] 125 of the most distinguished contemporary composers created »Party Pieces«. 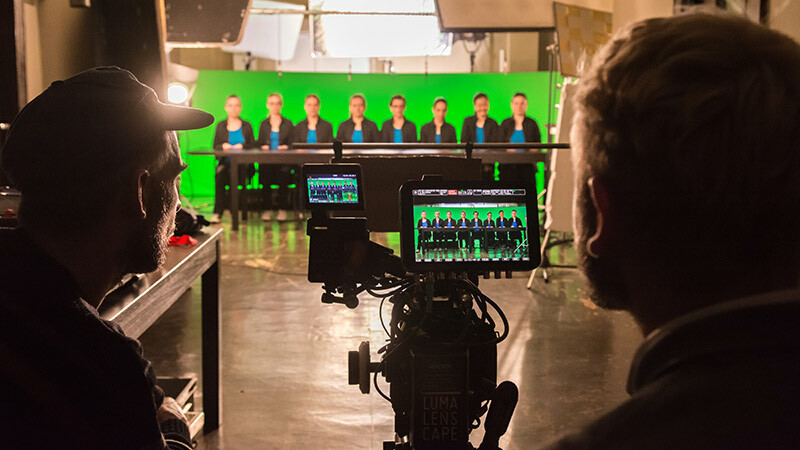 On January 20th the world's largest group composition will finally experience its European premiere in Leipzig at the UT Connewitz. The FZML finished its concert season 2014 with a successful concert and an enthusiastic audience. The four-part radio play evening LEIPZIGNOIR 1914 FZML presented his numerous guests in UT Connewitz 4 compositions to a text by Jan Decker. The concert will be aired on SWR 2 on 3th February 2015 at 11:03 pm in full-length within the program ars acustica. After that, all 4 compositions will be available for listening in the SWR online library. 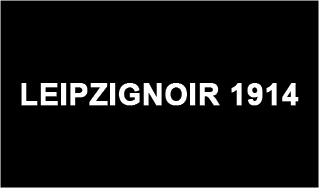 LEIPZIGNOIR 1914 ist the concert highlight of the FZML season 2014. The storyboard written by Jan Decker centers round 4 young writers, who are revealing mysterious processes at Leipzig's fairground shortly before the outbreak of the First World War. With Moritz Eggert, Annette Schlünz, Caspar de Gelmini und Fabian Russ the FZML has chosen 4 artists who are completely incomparable concerning their tonal language, their artistic attitude and their working process. The FZML completes the world's largest project in honor of the artist and composer John Cage. 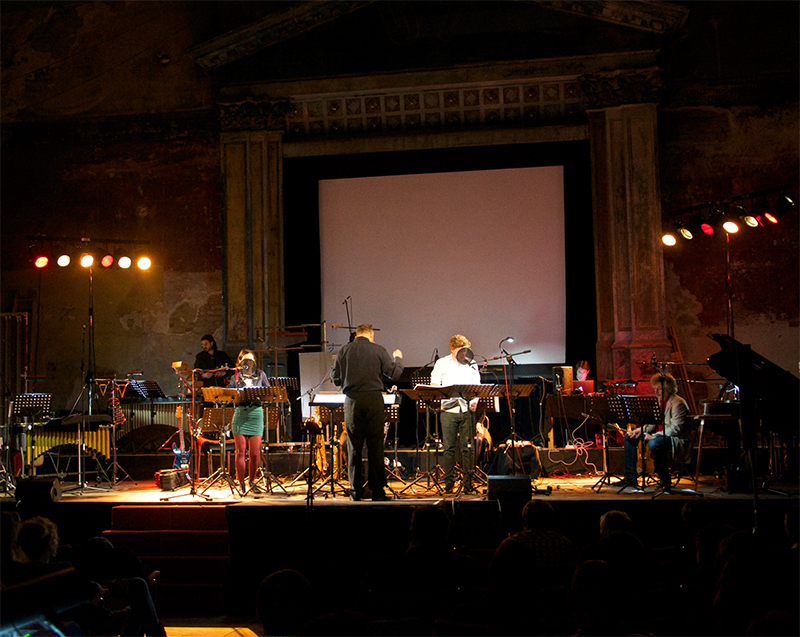 From July 2012 until October 2013 the Forum of Contemporary Music Leipzig [FZML] implemented the world's largest festival on the occasion of the 100th anniversary of John Cage. Within CAGE100 the FZML carried out a lot of individual projects, that dealt with Cage and his works in very different ways: The exhibition »Opening Spaces for Action«, the chamber music series »No Purpose. Sounds«, worldwide carillon concerts within the »Carillon Project«, international piano performances within the »Water Music Project«, the implementation of the »Party Pieces Project«, the world's largest group composition with contributions of 125 composers, the opera »Europera 5« and many more concerts, performances, lectures and workshops. A detailed documentation of the project including photos and video material can be found in the »Space for No-Thing«, the homepage of CAGE100. The FZML says THANK YOU to all those who have made CAGE100 through their involvement and their support to one of the most successful projects of the FZML. In cooperation with the Miller Theatre New York the Forum of Contemporary Music Leipzig [FZML] proudly presents a concert beyond all conventional conditions with 125 world premieres: »Party Pieces« is the world's largest collective composition that was written in honor of John Cage within the one year lasting CAGE100 festival. 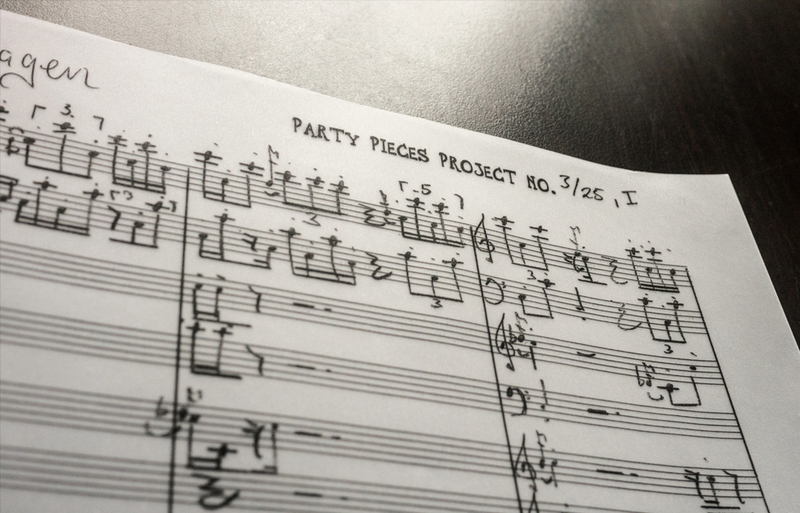 125 artists wrote one piece of music. The result is an incredible amalgam of different styles, influences, methods, and perspectives - a whole that is, without a doubt, greater than the sum of its parts. The CAGE100 - Project is now heading toward its grand finale. With prominent support CAGE100 - THE FINALE combines four different formats during the 28th and 31th of August 2013: opera concert, exhibition and lecture. International Part of CAGE100 starts! The second international part of CAGE100 takes place in 50 citites in more than 20 countries. Cages music will sound on every single continent in spectacular Projects. Besides the international sister cities of Leipzig (»Water Music Project«) there are also about 50 carillon players from all over the world taking part in CAGE100 (»Carillon Project«). Furthermore there will take place final festivaldays of CAGE100 where a composition will have its world premiere that is written by more than 100 American and German composers. For more information please visit the official CAGE100 webpage. The time is upon us for the celebration to start! On the 6 th July 2012 the international art and music project CAGE100 will begin. On the occasion of the 100 th birthday of the American artist and composer John Cage, The Forum of Contemporary Music Leipzig [FZML] initiates a unique project. 100 different events all over the world will take place under the patronage of Pierre Boulez. CAGE100 stages many events, which are beyond current concert formats. A choise of Cage’s Oeuvre will be performed and enables a broad audience to experience his art. processes.. At the beginning of the project 200 SPEAKERS AND 100 CHILDREN will celebrate a mass performance on the market square in Leipzig. This follows Cage’s main idea of indeterminated randomness. In the context of the »Carillon Project« one will hear BELLS SOUNDING WITH MUSIC BY CAGE IN 50 CITIES AROUND THE WORLD over the entire project period. 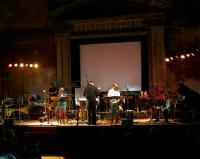 A unique chamber music series, called »No purpose. Sounds.«, which centers around the works by Cage that can be freely combined with each other are also part oft he project. CAGE100 takes place simultaneously in different cities and radio stations and culminates in the world premiere of a specifically commissioned »EXQUISITE CORPSE« COMPOSITION THAT INHABITS THE PARTICIPATION OF 100 INTERNATIONAL COMPOSERS in honor of John Cage in New York and Leipzig. The »SPACE FOR NO-THING« [www.cage100.com] and the »BOOK FOR NO-THING« will accompany and communicate the whole project with unusual and artistic presentation and documentations formats. 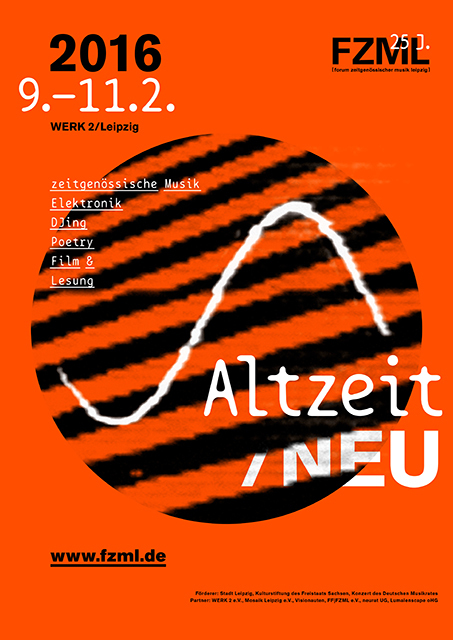 World Carillon Federation, Deutsche Glockenspielvereinigung, Schauspiel Leipzig, The National Association of Composers, USA; Hochschule Merseburg, Institut française Leipzig, Universität Leipzig, Hochschule für Grafik und Buchkunst Leipzig, Hochschule für Musik und Theater Leipzig, Referat internationale Zusammenarbeit der Stadt Leipzig, Weimarer Frühjahrstage für zeitgenössische Musik, musica nova, Moritzbastei Leipzig. We would also like to thank our various local and global co-operation and multiplying partners.